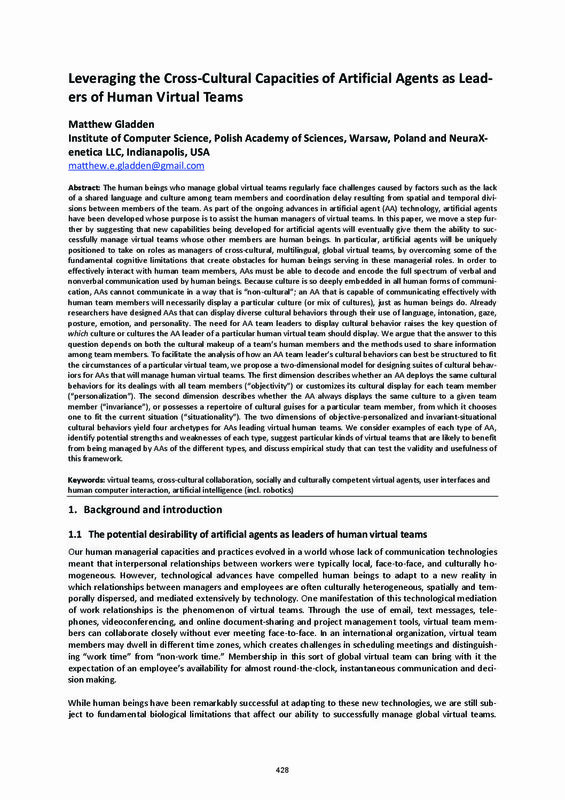 Home Posts tagged "artificial agents"
ABSTRACT: Thanks to the growing sophistication of artificial agent technologies, businesses will increasingly face decisions of whether to have a human employee or artificial agent perform a particular function. 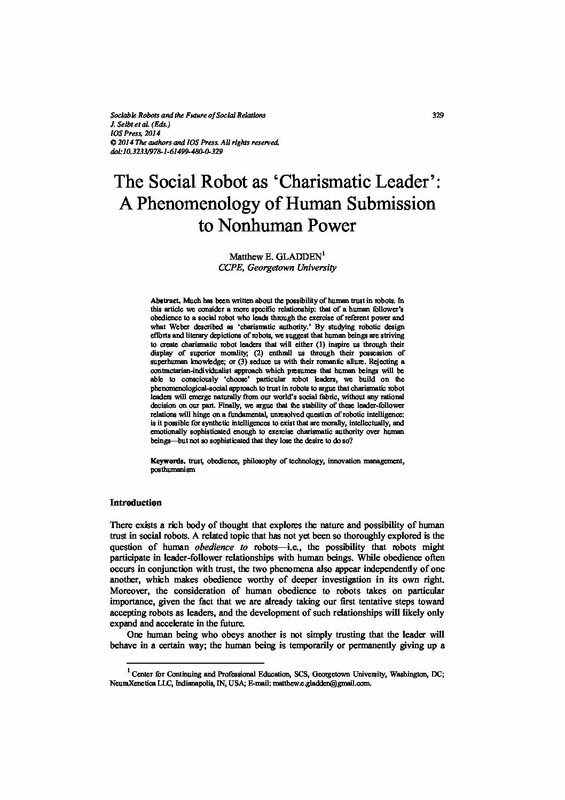 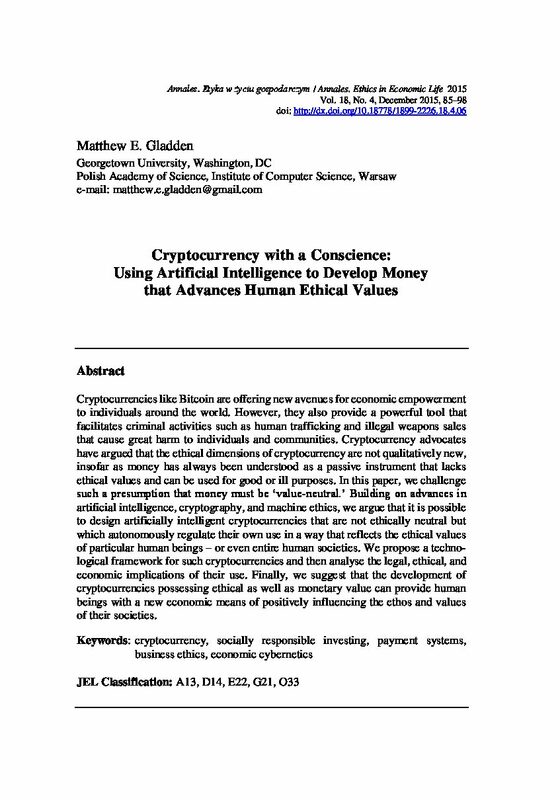 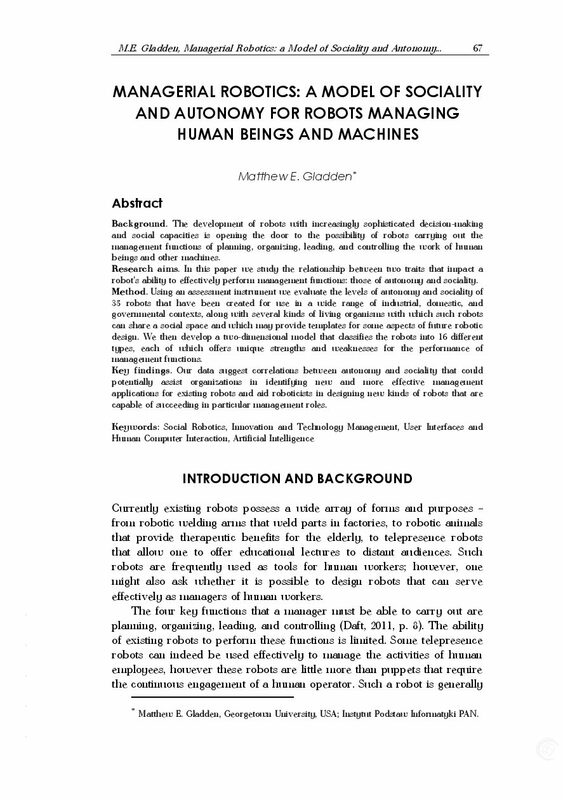 This makes it desirable to have a common temporal measure for comparing the work effort that human beings and artificial agents can apply to a role. 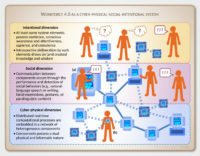 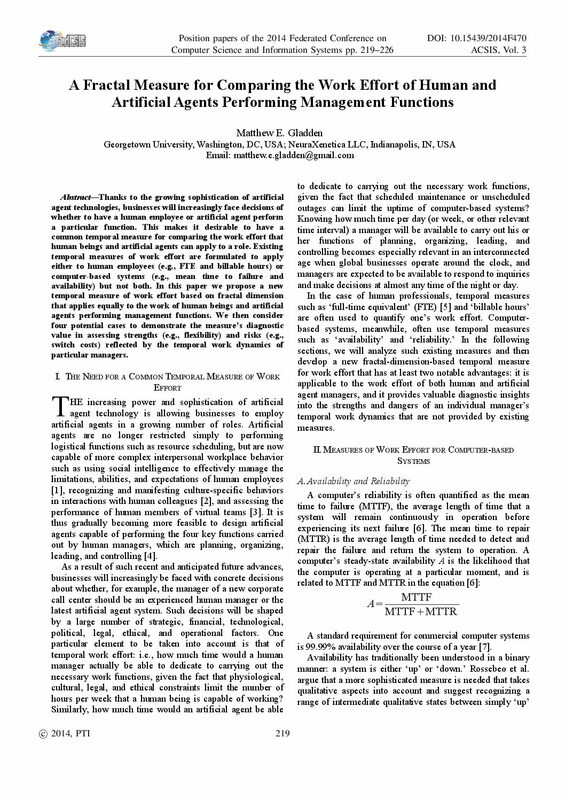 Existing temporal measures of work effort are formulated to apply either to human employees (e.g., FTE and billable hours) or computer-based systems (e.g., mean time to failure and availability) but not both. 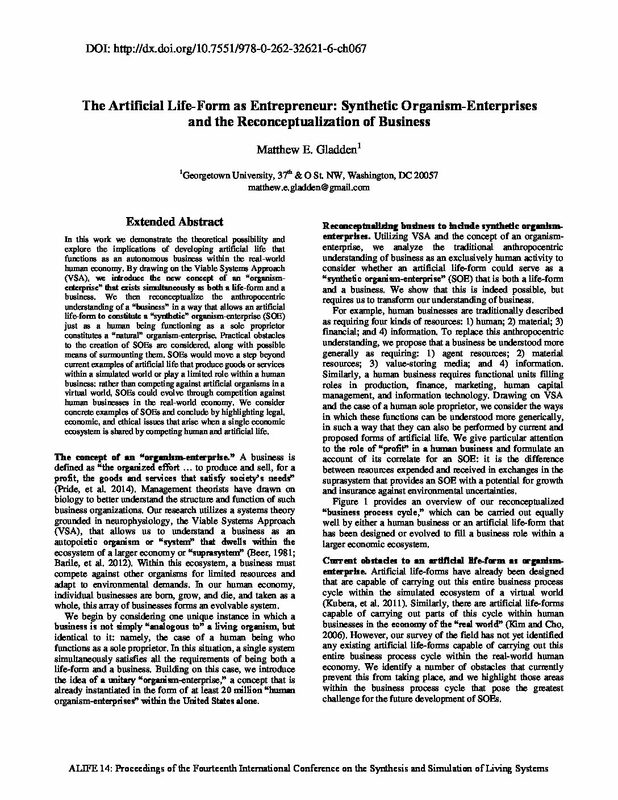 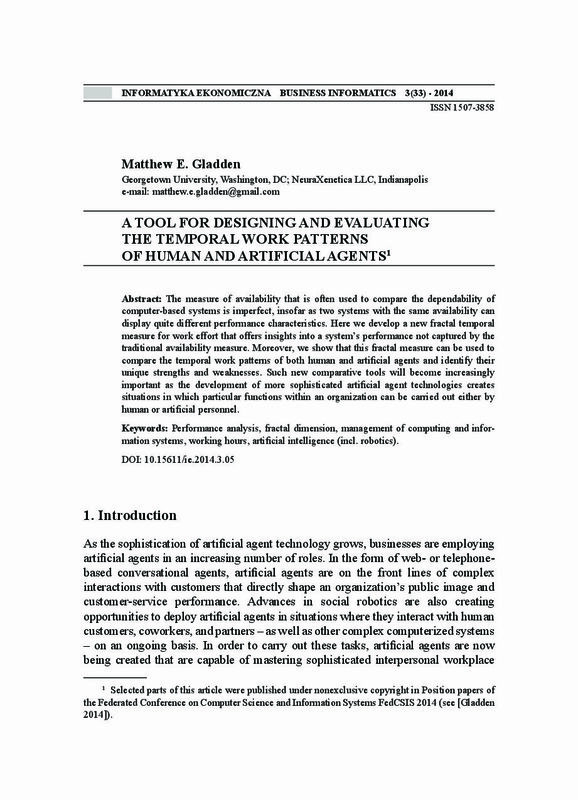 In this paper we propose a new temporal measure of work effort based on fractal dimension that applies equally to the work of human beings and artificial agents performing management functions. 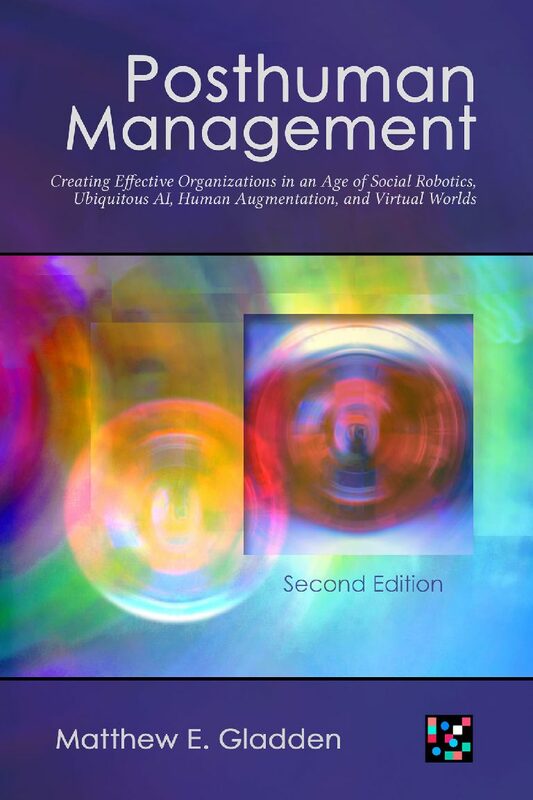 We then consider four potential cases to demonstrate the measure’s diagnostic value in assessing strengths (e.g., flexibility) and risks (e.g., switch costs) reflected by the temporal work dynamics of particular managers.